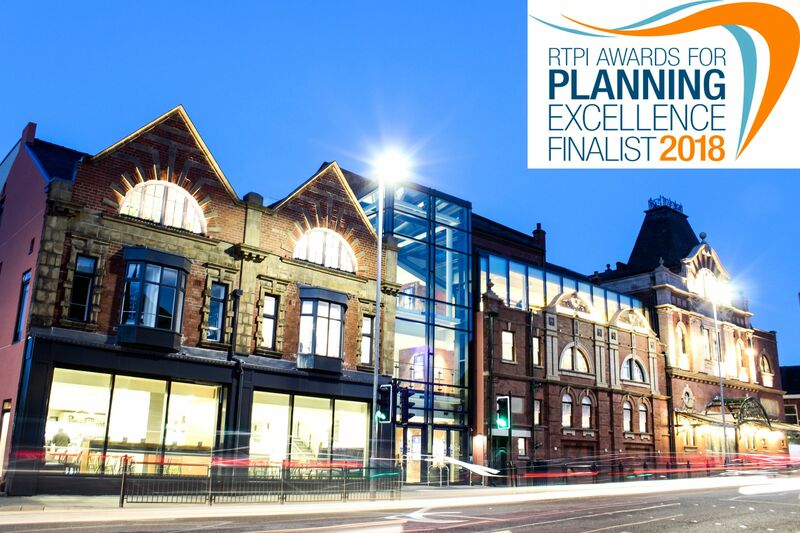 Space Architects has been announced as a finalist in the Royal Town Planning Institute Awards for Planning Excellence in the ‘Heritage and Culture’ category for their work on the restoration of the original Darlington Civic Theatre and adjacent former fire station. The RTPI Awards for Planning Excellence are the longest running and most high-profile awards in the industry and take place on Thursday 24th May at the Milton Court Concert Hall in central London. For 40 years they have rewarded the brightest talent in the profession; the teams, projects and individuals that transform economies, environments and their communities all over the UK and internationally. To do this it needed to engage with the needs of the community and after numerous consultations it became clear that the venue needed to provide facilities such as gallery space, bars and cafes, heritage resources, interactive experiences, public rehearsal facilities, children's education and play facilities, function suites and community meeting spaces. Today, Darlington Hippodrome and the new Hullabaloo is an impressive facility. The theatre now boasts over 4,275sqm of remodelled floor space and it now includes a striking new glazed triple height entrance and foyer space that leads to promenades and display galleries and a new stunning vaulted function room fills the space of the old water tower.